Loss of a tooth or teeth in the smile line is a fear of many adults. Whether tooth loss is the result of trauma or the intentional extraction of broken/diseased teeth, it is the source of much embarrassment. It is my goal that my patients never suffer this type of humiliation. There are many ways to replace teeth very quickly when an unexpected event occurs and teeth are lost. Shown here, in photo of patient one, is an example of composite resin teeth I fashioned to replace the two front teeth that were knocked out in an accident the night before. The composite teeth were bonded to the adjacent teeth. This temporary tooth replacement which looked and felt like the natural teeth lasted until implants could be done. In photo of patient two you will see a tooth replacement made for a patient requiring an emergency extraction. I cut the root off her natural tooth, sealed the cut portion, and bonded it to adjacent teeth. In this situation we may elect to make this “quick fix” serve as a long-term tooth replacement. When the tooth which is lost is small and the functional demands on the tooth can be controlled, this method can serve as a permanent restoration. I provided this service for another patient over 15 years ago and to date have only needed to make two minor repairs. It is a cost effective, quick and conservative treatment in the right circumstances. Occasionally a patient presents with a more challenging problem. The third patient presented to my office as a new patient with his bridge in hand. The bridge was made many years ago by another dentist. Over the years tooth decay and gum disease undermined this bridge and on that day the bridge which replaced his upper teeth on the entire left side fell out. While there was no quick fix for the underlying problem, I needed to provide this patient with teeth while a more suitable temporary replacement could be made. I elected to fill the undersurface of the bridge with composite resin, use one of his own roots for bonding in a “snap like” retainer and made a clear retainer which secured the old bridge to the teeth on the other side. This method gave my patient a pleasing smile while the laboratory made a temporary partial denture. We later proceeded to address the disease which caused the crisis and work toward a definite, maintainable result. It is my intension to illustrate what can be done to prevent the humiliation of tooth loss in an unexpected situation. It is not to advocate crisis centered dental care. Preventing dental disease and tooth loss is paramount to good overall health, comfort and self-confidence. It is my goal to work with my patients to achieve and maintain a healthy, beautiful smile for life. 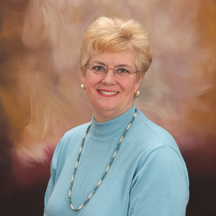 “Have had significant dental and cosmetic work done by Dr. G. and she truly is an artist. 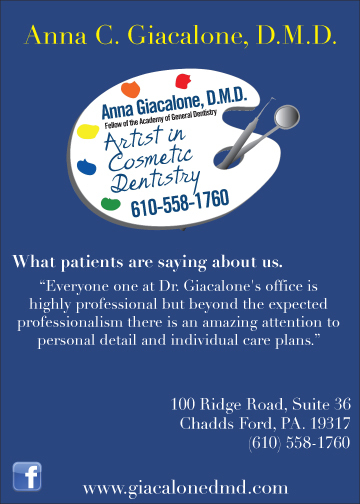 Excellent skills, combined with a personable, focused, and caring manner will keep us using Dr. G. for a long, long, time.” – Tiffany V.
“I have been going to Dr. Giacalone for over 21 yrs. and I could not be happier with the service over the years. You always feel like a valued patient and treated very professionally,” – George C.